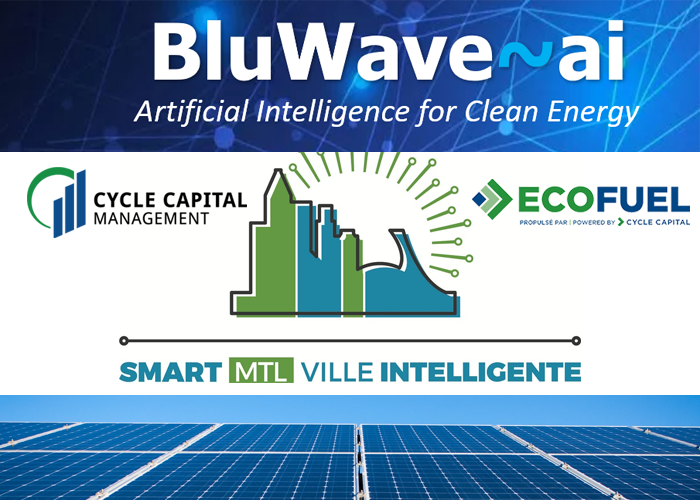 BluWave-ai is pleased to announce that the company’s CEO and founder, Devashish Paul, will be speaking on a panel at next week’s Smart MTL * Ville Intelligente event in Montreal, along with speakers from Cycle Capital Management, Sustainable Development Technology Canada, and Greentown Labs. The panel, entitled “How to make Montreal an innovative Smart City”, will highlight the ecosystem needed to build a smart city, gaps that need closing, along with the importance of data, networks, funding, and intellectual property. BluWave-ai, an alumni of Cycle Capital’s Ecofuel accelerator program, is one of the premier North American startups that is leveraging data and AI to make cities smarter and reduce greenhouse gas emissions. Putting the smarts into smart cities is a non trivial distributed computing challenge. The Canadian municipal market is an excellent testing ground to optimize technologies for smart cities for deployment into the export market world where cities are increasingly more congested and can realize large gains from distributed renewable energy with distributed AI driven optimization and control of assets.